Expert sales executive in media and video transportation over Internet (OTT), IPTV or RF (Traditional Broadcast), business development, consultative sales and international partnerships. 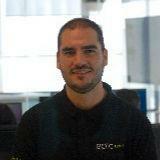 Extensive experience in long cycle and complex sales with strong international experience in Europe and the Americas. TV Everywhere, OTT expert, Video streaming solution, Video Delivery, Digital Video and Content preparation, Protection, DRM, OTT TVE, Linear channels, VOD, Metadata. Analytical, Astute Businessman, Empowering, Results driven, Self-Motivated, Strategist and Team Player, particularly at ease with great challenges, intercultural and creative environments.